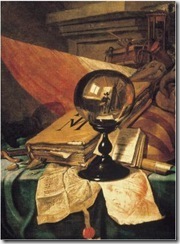 (1628 – 1702) Estimating maximum demand is a topic frequently discussed. Working out how much power to allow for a building can be very subjective . Allowing too much power results in additional equipment, increased space requirements, greater system losses and extra cost. On the other side, not enough power results in operational problems. 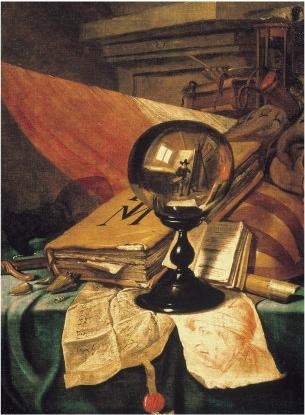 Trying to find the right amount of power is like gazing into a crystal ball and everyone will see something different. Early in a project power demand is estimated on a w/m2 basis. Each building needs to be considered on it merits and appropriate allowances worked out (for example a office designed for high end banking clients will require more power than a general purpose office). While there are no fixed guidelines it is good to have some sort of starting point. The table below provides an initial set of demand figures to start playing with. Hopefully it may help someone or at least give some food for thought. 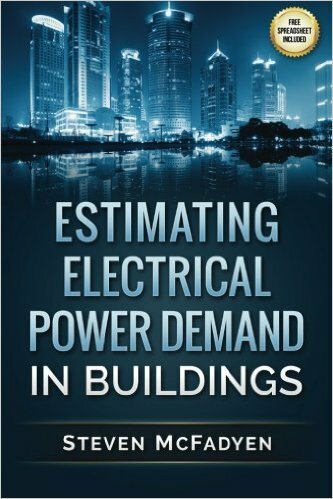 In this short introductory book, Estimating Power Demand in Buildings, Steven McFadyen provides a simple and clear understanding of the process by covering power theory and well- established procedures. The book is available in paperback and eBook format at all Amazon stores. We've produced an Excel spreadsheet for estimating building total connected load and maximum demand. If your interested in obtaining a copy, you can get it here. Alternatively it is available free of charge with the purchse of the book "Estimating Electrical Power Demand In Buildings". Does the word " Power " in above table includes Air condiitoning loads(FCUs,Dampers etc)?Please enlighten.